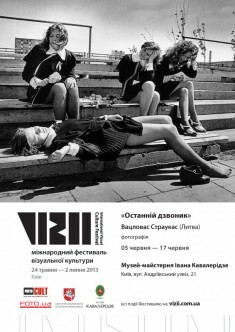 We are happy to welcome Kyiv spectators and city’s gests for Vaclovas Straukas’s “The Last Bell” photo exhibition opening, that will take place in the framework of “Visii” International Visual Culture on 5 of June at 18:00 in Museum I. Kavaleridze. Vaclovas Straukas — is an outstanding representative of Lithuanian school who devoted to photography art more than 60 years and get worldwide recognition. During 25 years he was working as teacher of Lithuanian language and literature, in parallel he was creating unique cycle of photography that was contracted on school weekdays and holidays, determining it as the most important topic of his life. “The Last bell” exhibition – is a series of black and white vintage photos in which author fills live school stories with discreet eroticism and youth energy. Today 90 years old classic confesses that “The Last bell” series is a thirty years looking for a moment when childhood passes into youth, and in his opinion he did not catch it. However thanking exactly to this search for the fine line between childhood and youth Vaclovas Straukas created tremulous story about eternal youth, to which we are coming back in our reminding till the end of our day. 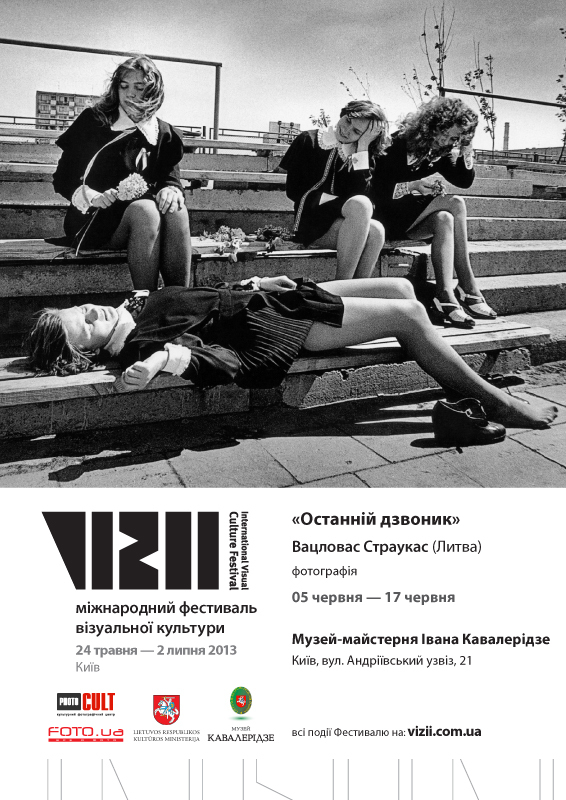 And now the most outstanding work of legendary photographer is presented to Kyiv’s spectators. Exhibition “The Last bell” will be presented by “Vizii” Festival organizers. Also at the exhibition opening representatives of Embassy of the Republic of Lithuania in Ukraine will take speech. Opening of exhibition will take place in historical center of the city on Andreivskiy spusk and will be pastime for active city life participants. Admission at the day of opening is free. Exhibition “The Last bell” is taking with support of Ministry of Culture of the Republic of Lithuania and the Lithuanian Embassy in Ukraine.